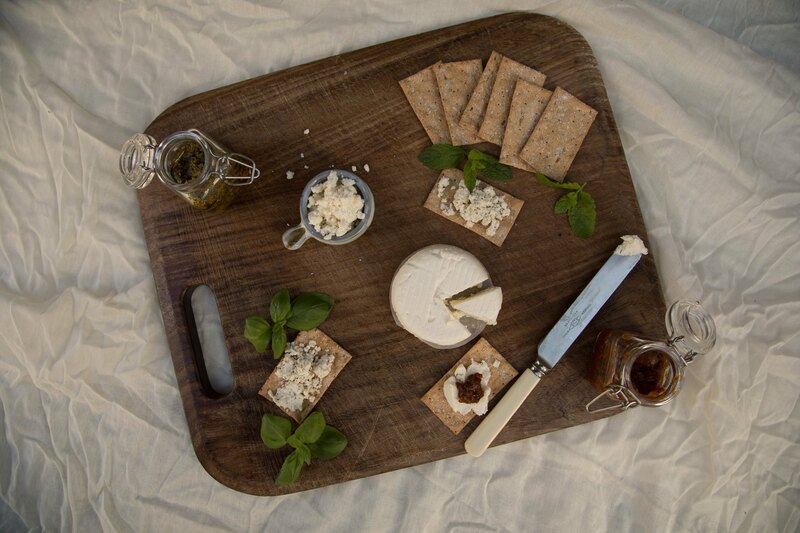 Our soft cheeses are all hand made on the Farm. Bure’s Essex Cheese is named after the historic name for Bowers Gifford, Bure. 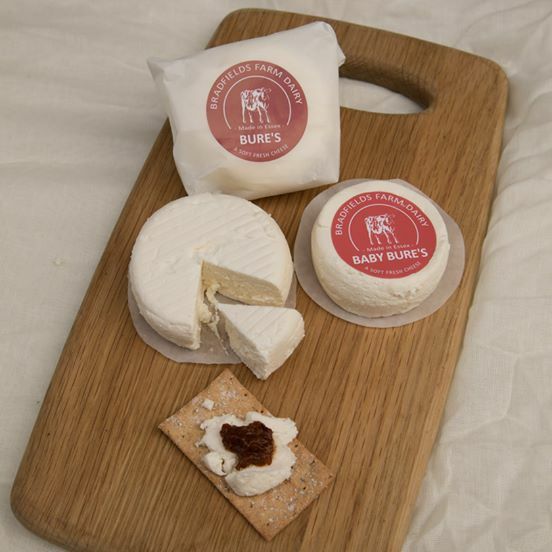 Bure’s is fresh soft cheese made from whole pasteurised milk, which is drained in moulds before dry salting. It is ready to eat after 5 days maturing as a creamy soft spreadable cheese and matures for up to 2 weeks when it hardens to a more feta like consistency which is great for cooking. Each Bure’s cheese weighs 150 to 180 grammes and is sold as a whole cheese. Baby Bure’s is a smaller cheese weighing 70 to 100 grammes. 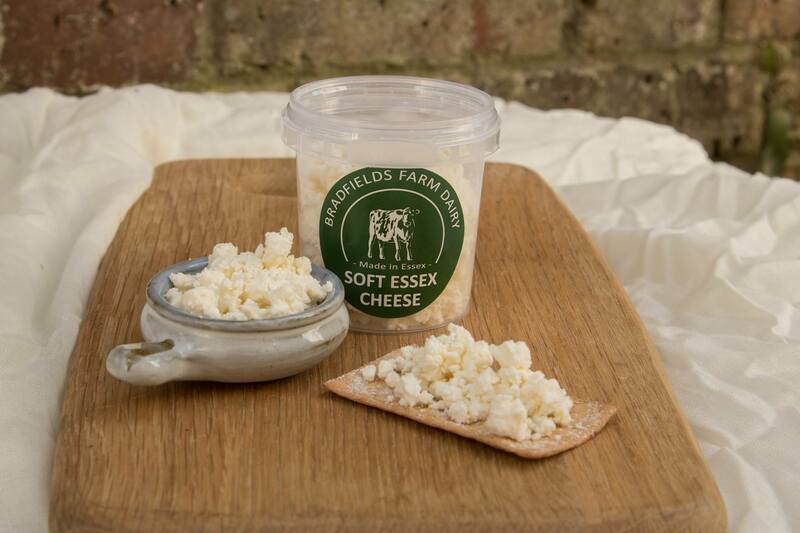 Essex Soft Cheese is fresh soft cheese that is drained in a muslin bag and is sold in small pots. It is a slightly firmer cheese than Bure’s. 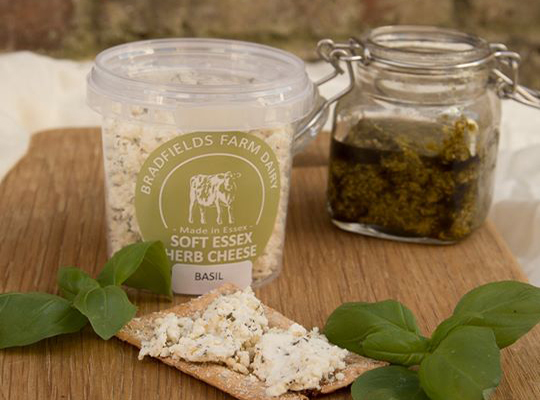 Essex Herb Cheese is like Essex Soft but with herbs added – there is a choice of mint or basil. Everything that you need for a lovely cheeseboard!